Today I want to praise the banana. No joke, I'm serious. 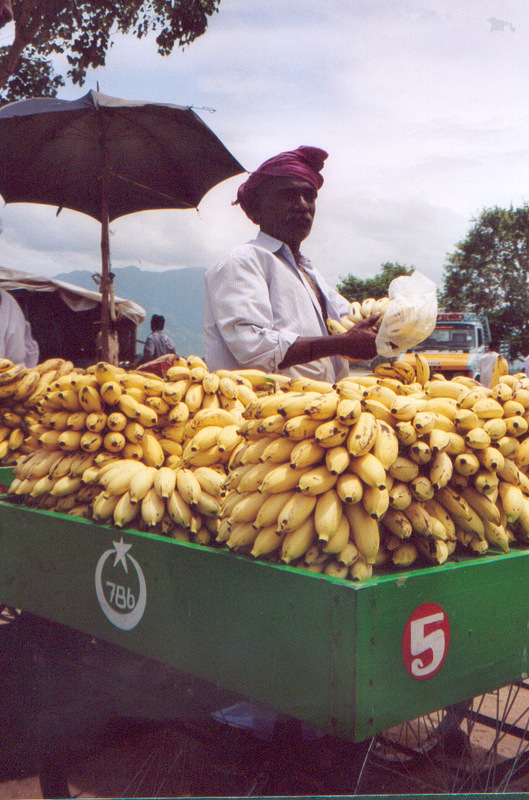 For a poor western travelling the length and breadth of India, banana is a point of reference. First it is good, incredibly good. Nothing to do with tasteless bananas dealed us the West. Small, big, yellow, green and even red. Fried, but mostly raw, bananas are a certainty. Food hygiene to 100%, thanks to its natural shell, bananas free the poor western fearful of viruses and bacteria from embarrassing situations. 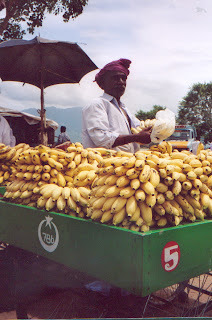 I remember during a trip in the remote countryside of Tamil Nadu, we bought fifty bananas that guarantee us a meal to the place where they sold food 'safe'. The banana tree is also a generous plan. It's kind of seasonal shrub, it produces its bunches full of fruits and dies, leaving two or more threw that, once it is replanted, in order to grow other fruits and other sprouts. 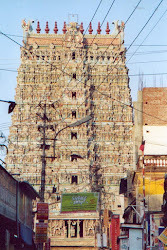 The banana tree also provides the main dishes of Indian villages and homes, especially in the most humble. In fact the leaves of banana are the dishes on which each eat their own food. A beautiful green leave with over boiled white rice and a variety of colorful and spicy sauces. I took this photo near Sivakasi in Tamil Nadu and that in other post at Madurai’s market: a lovely lady in her shop of banana leaves.